I hadn’t been in Doral in a while and was pleasantly surprised to find a brand new shopping center with fine dining – including Bulla’s latest location. The original Bulla Gastrobar has become a staple in Coral Gables offering authentic Spanish cuisine and expectional service. You can expect the same quality from the new location in Doral where Chef Miguel Rebolledo serves the same delicious dishes with a few new additions of his own. “I’m excited to expand the Bulla Gastrobar concept to Downtown Doral this year. Born and raised on the coast of Spain, I love mixing my traditional Spanish recipes with new and interesting techniques. 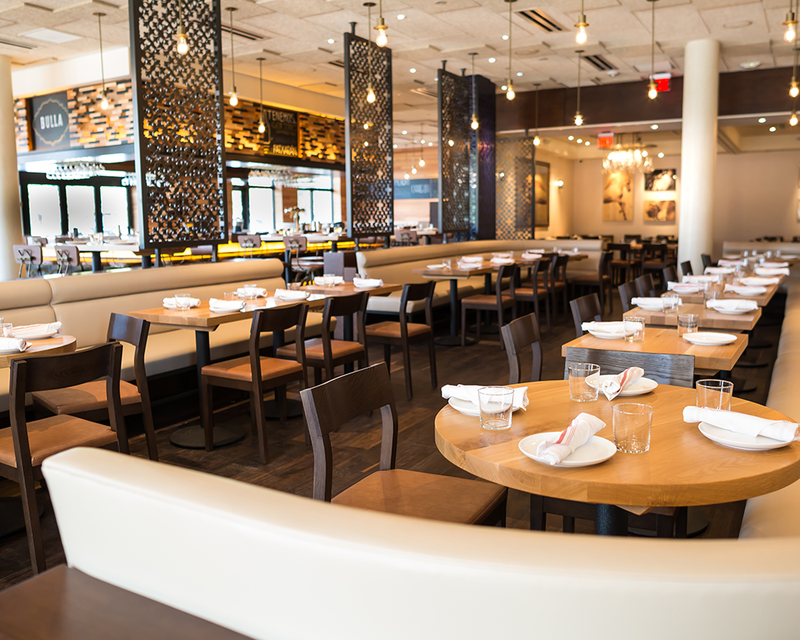 At Bulla Gastrobar Doral I’m looking forward to working with Chef Diego Solano and using my passion for Spanish cuisine,” says Bulla Doral Executive Chef Miguel Rebolledo. El Bulli alum Chef Miguel Rebolledo, brings his extensive culinary experience, talents and unending love for Spain to the Doral location. Chef Rebolledo and his team work with a Josper Oven, a coveted and important aspect of the Bulla kitchen only seen in a few restaurants throughout the United States. The Josper is both an oven and grill at the same time ensuring a quick cook time, vast flavors and top -notch finished dish. One Chef Rebolledo’s favorite dishes to cook in the oven is the Cubano Ibérico: Pan de cristal, bellota ham, piparras, presa bellota, tetilla cheese, mustard aioli. Other menu highlights include Huevos ‘Bulla’: eggs, homemade potato chips, Serrano ham, potato foam, truffle oil; Croquetas de Jamón Ibérico: ham croquettes with fig jelly; and Arroz a Banda: arroz bomba, calamari, clams, shrimp, branzino. Cocktail highlights include La Madrileña: Bulleit Bourbon, La Gitana Manzanilla, apple cinnamon syrup, lemon juice; Rosa Salvaje: Tito’s Vodka, strawberry-ginger syrup, lemon juice, Fever Tree ginger beer; and Seville Sour: Gran Duque d’Alba brandy, La Gitana Manzanilla, simple syrup, lemon juice, egg white, red wine. Bulla Doral’s bar will be lead by mixologist Joel Mesa and incorporate Bulla classics with soon to become favorites. The bar will be the center attraction at Bulla Doral similar to it’s Coral Gables location serving classics and new cocktails. You can expect the same delicious dishes and cocktails as the Bulla in Coral Gables, but the josper oven adds a hint of smoky flavors to some of my favorites including their paella. If you are a fan of the Coral Gables location it’s worth the drive to Doral to see the beautiful new space. Go have some Huevos Bulla and tell them the South Florida Bloggers sent you!